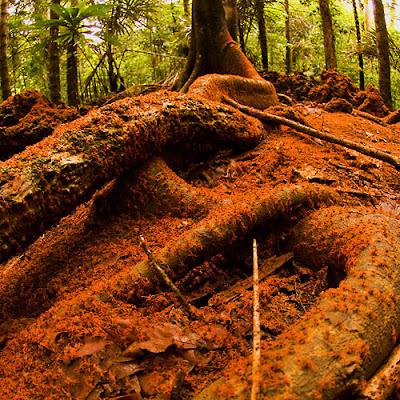 Christmas Island is a small Australian-owned territory located in the Indian Ocean, approximately 300 miles south of Jakarta, Indonesia. 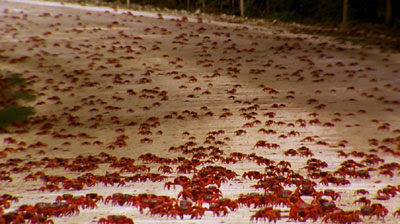 A small population of 1600 residents live on the area of 50 square miles, along with 150 million Red Crabs! 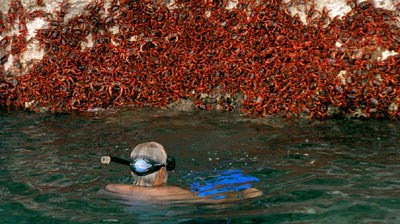 Every year one of the most spectacular migrations in nature occurs on Christmas Island, when over 150 million red crabs move from inland shelters to the shore for their annual breeding season. 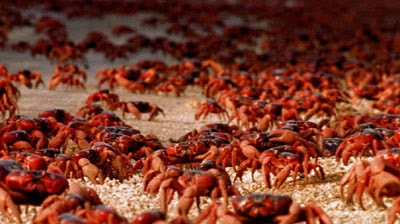 At the beginning of the wet season (usually October / November), Red Crabs suddenly begin a spectacular migration from the forest to the coast, to breed and release eggs into the sea. 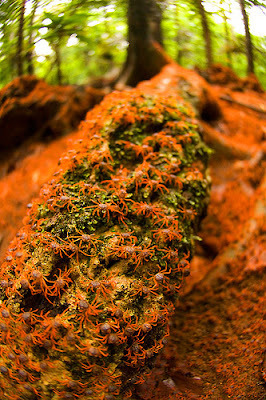 Breeding is usually synchronized island wide. 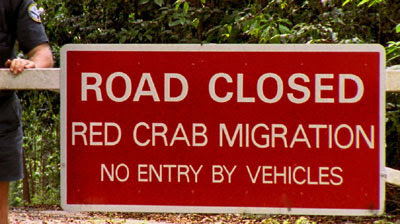 The main migration commences on the plateau and can last up to 18 days. 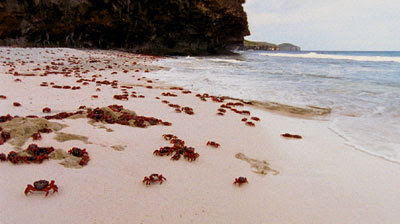 Masses of crabs gather into broad columns as they move toward the coast, climbing down high inland cliff faces, and over or around all obstacles in their way, following routes used year after year for both downward and return migrations. 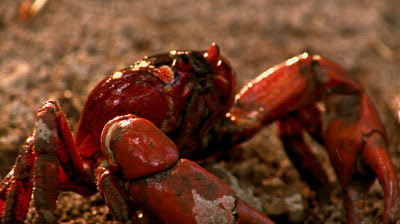 Once at the coast males retreat to the lower terraces and dig burrows. The females then also move to the terraces and mating occurs. The females produce eggs within 3 days of mating and remain in the moist burrows on the terraces for 12-13 days while they develop. The eggs are held in a brood pouch between their extended abdomen and thorax. 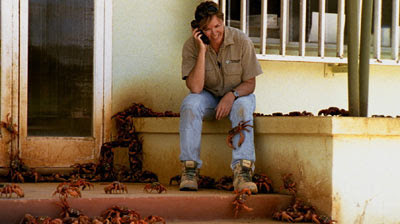 A single female can brood up to 100,000 eggs!